Wegner's most iconic design, variously referred to as the 'Round Chair' or simply 'The Chair'. This first iteration of his seminal design featured a woven seat and back which was discarded for later versions of the design. 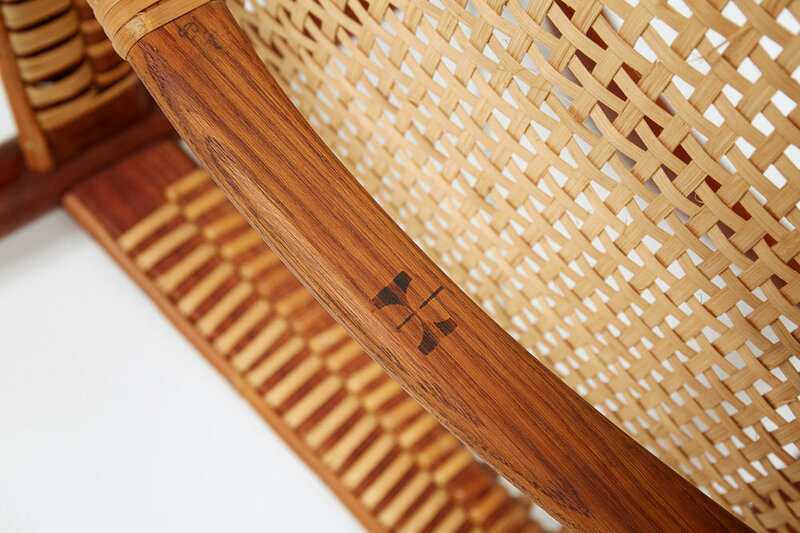 This example has a rich, patinated teak frame with original rattan weave. Produced and branded by Johannes Hansen, Denmark. Excellent original condition with minor defects in cane.